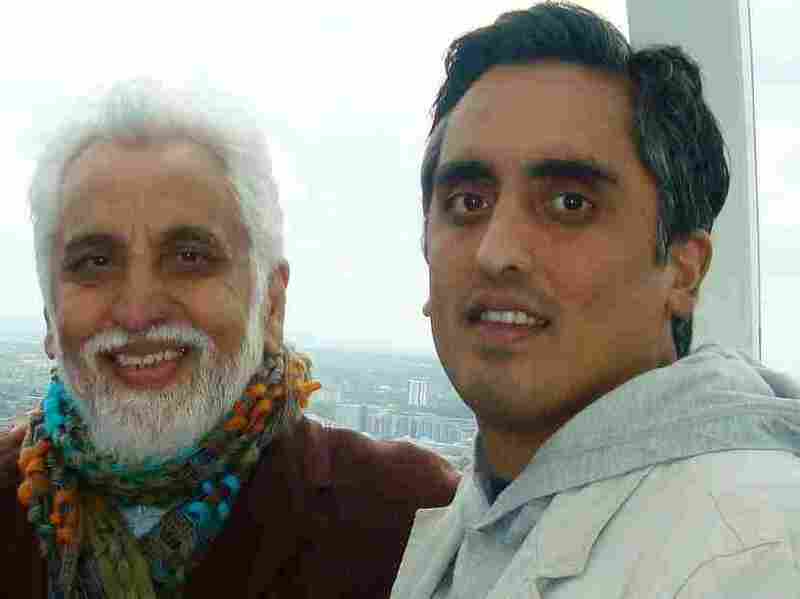 Thanks to You: A Father-and-Son NPR Moment : Tell Me More Guest blogger Arsalan Iftikhar tells how participating in a recent NPR StoryCorps project sealed a special bond between him and his dad. Although I have been an on-air NPR commentator in Washington, D.C., for more than three years now, it was only recently that I was truly honored to have my most memorable National Public Radio experience to date. Needless to say, I said yes without even blinking. So, during a recent trip back home to Chicago for a keynote speech that I was giving at Northwestern University, my beloved father and I walked into WBEZ-FM Chicago Public Radio at the famous Navy Pier to record a father-and-son conversation. It was a day that neither of us will ever forget. “This StoryCorps experience allowed us the unique opportunity to tell our personal story for posterity’s sake,” my father told me shortly afterward. I have known my father for all of my 33 years on this planet but in many ways, we both learned new things about each other during that taping. My father did pro-bono work as an orthopedic surgeon, operating on Bosnian refugees fleeing the genocide orchestrated by Slobodan Milosevic in the mid-1990s. But we had never talked about the personal impact that his work had had on my ultimate determination to become an international human rights lawyer. We also had also never really discussed how my work as a post-Sept. 11 media commentator and peace activist had motivated my father to join a Doctors Without Borders mission to South Asia, following a devastating earthquake in 2005, which killed hundreds of thousands of people. For these reasons, StoryCorps is, quite literally, my favorite part of National Public Radio. I’m perhaps showing the inner-NPR geek in me but I have actually bookmarked the NPR StoryCorps website and listened to every single archived commentary in existence. Over the years, I have listened to profound stories of love, loss and redemption in those archives. Now, during the week of Thanksgiving, by some serendipitous stroke of graceful kindness, mine and my father’s personal story will be added to other NPR StoryCorps conversations, preserved for time immemorial. Neither of us could have asked for a better Thanksgiving. Arsalan Iftikhar is a global media commentator, founder of TheMuslimGuy.com and regular weekly contributor for the Barbershop segment of Tell Me More with Michel Martin.